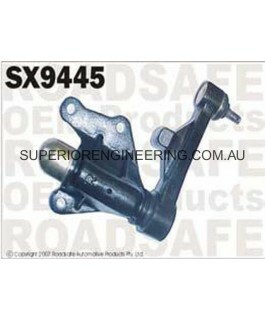 Replacement idler arm Suitable For 1991 thru 1997 IFS Hilux PLEASE READ:Superior Engineering and other Brands of Steering components are replacement items that are in mostcases upgraded to be a stronger better choice than the factory item. The .. 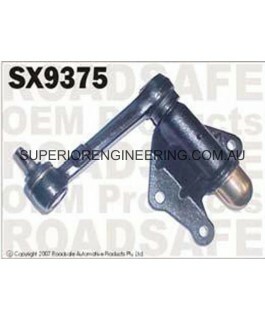 Replacement idler arm Suitable For 1997 IFS on Hilux PLEASE READ:Superior Engineering and other Brands of Steering components are replacement items that are in mostcases upgraded to be a stronger better choice than the factory item. The Superio.. 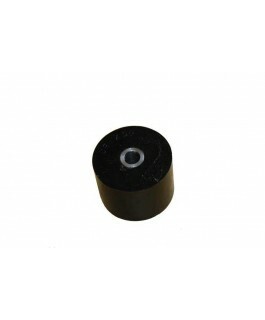 These spacers are used when installing airbags with Superior coil retainers fitted. Designed to work with a 2-3" lift. Sold as a set of 2.. 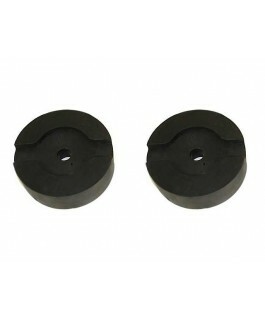 These spacers are used when fitting airbags to patrols with coil drop out cones fitted. will only work with 2-3" lift. Sold as a set of 2.. 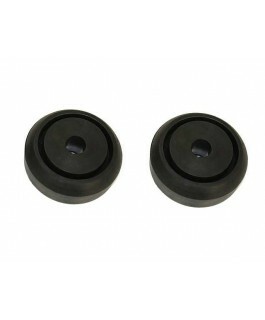 These spacers are used when going from a standard height to 4-5" lift with coilrite airbags fitted. 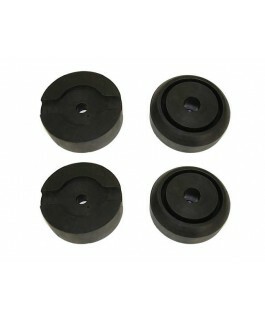 Superior engineering has designed these spacers to work with our coil retainers and dropout cones. Sold as a set of 4 NOTE: these do not suit..
Polyurethane body blocks are the better choice of material when fitting body lift kits. The blocks are 2 Inches in height and come fitted with a steel internal crush bar to stop the block crushing over time. 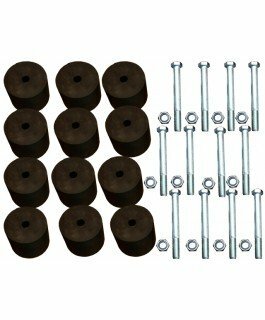 A 2mm thick steel washer is al..
Our 2 inch body lift kits come complete with all Nuts , Bolts, Washers and blocks that makes for an easy and straight forward kit to fit. When fitting a body lift kit other modifications may need to be done such as lifting the bullbar, ..
Our 2 inch body lift kits come complete with all Nuts , Bolts, Washers and blocks that makes for an easy and straight forward kit to fit. When fitting a body lift kit other modifications may need to be done such as lifting the bullbar, Si.. Body lift kits come complete with all nuts, bolts, washers, crush Bars and blocks that makes for an easy and straight forward kit to fit. When fitting a body lift kit other modifications may need to be done such as lifting the bull bar, S..
Our 2 inch body lift kits come complete with all Nuts , Bolts, Washers and blocks that makes for an easy and straight forward kit to fit. When fitting a body lift kit other modifications may need to be done such as lifting the bullbar, Sid..
Our 2 inch body lift kits come complete with all nuts, bolts, washers and blocks that makes for an easy and straight forward kit to fit. When fitting a body lift kit other modifications may need to be done such as lifting the bull bar, S..
Our 2 inch body lift kits come complete with all nuts, bolts, washers and blocks that makes for an easy and straight forward kit to fit. When fitting a body lift kit other modifications may need to be done such as lifting the bull b..
Our body lift kits come complete with all Nuts , Bolts, Washers and blocks that makes for an easy and straight forward kit to fit. When fitting a body lift kit other modifications may need to be done such as lifting the bullbar, Sidesteps ..
2 inch body lift kits come complete with all nuts, bolts, washers, crush Bars and blocks that makes for an easy and straight forward kit to fit. When fitting a body lift kit other modifications may need to be done such as lifting the bull..
Our 2 inch body lift kits come complete with all Nuts , Bolts, Washers and Body Blocks and Hex Steering Shaft Spacer that makes for an easy and straight forward kit to fit. When fitting a body lift kit other modifications may need to be done s..